Iceland may be renowned for its pristine and unusual landscapes, but some of its “waterscapes” are certainly not lacking! Þingvellir National park is quite unique – situated roughly on the limit between the north American and the European tectonic plates, it is the place in Iceland where you can observe with your naked eye where the aforementioned plates diverge at a rate/speed of between 0,2 and 2 cm per year. In 1789, volcanic activity was intense and a major earthquake shook the South of Iceland, with tremendous consequences on the valley of Þingvellir – the whole land subsided (in fact, the plains of Þingvellir actually subsided a whole 1-2 meters in the spring of 1789!) and great fissures and cracks opened in the plains. One of these fissures is Silfra. Silfra is a deep crack between the tectonic plates, and is linked to Þingvellir lake. The lake is part freshwater and partly fed with meltwater from a nearby glacier – it takes several decades for the water to travel to Þingvellir and on its way, the water is filtered through the lava fields… so by the time it gets to destination, it is crystal clear. 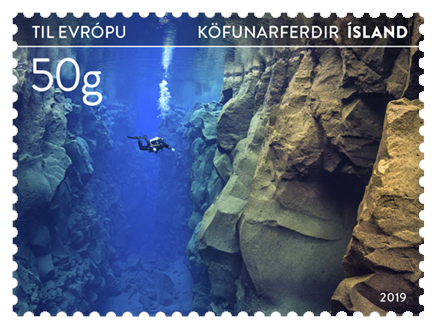 When there is no wind, the underwater visiblility in Silfra is consequently a stunning 100 meters, making it one of the most popular diving spots in Iceland in recent years. Northern light tours are also increasingly popular among tourists – 10 years ago, about 14% of our foreign visitors went on so-called Northern lights tours” – Now, the numbers have increased to about 40%! 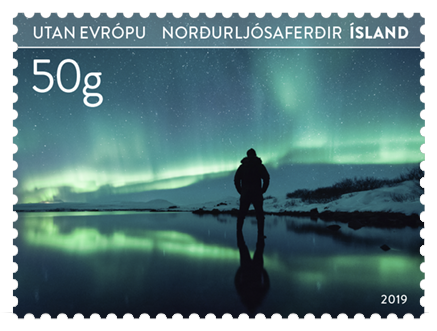 The Northern Lights (or Aurora borealis) are actually the result of collisions between gaseous particles in the Earth’s atmosphere with charged particles released from the sun’s atmosphere. The aurora can appear in different colours but the most common are green and pinkish, sometimes variations of purple – the colour variations are due to the type of gas particles that are colliding. Sometimes they are weak, but the auroras are sometimes so intense that you can see them from the centre of Reykjavík!